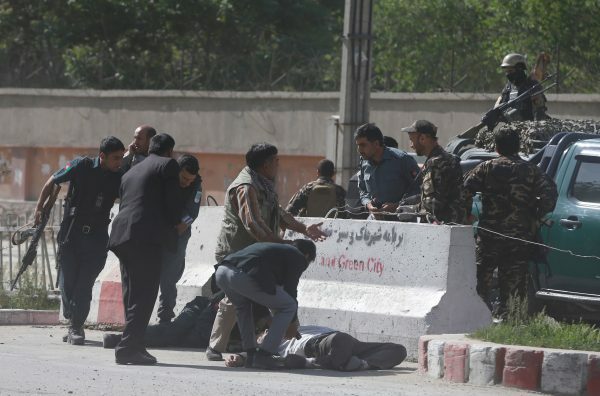 KABUL—Twin blasts in the Afghan capital Kabul killed at least 25 people on Monday, April 30, including journalists who had arrived to report on the first explosion and who were apparently targeted by a suicide bomber in a second attack, officials said. The Afghan Journalists Safety Committee said seven journalists had been killed and French news agency Agence France-Presse confirmed that its chief photographer in Afghanistan, Shah Marai, was among the dead. A Reuters photographer was slightly wounded. Najib Danish, spokesman for the interior ministry, said the suicide bomber appeared to have posed as a journalist and blew himself up where reporters and emergency health officials were standing. The attack came a week after 60 people were killed as they waited at a voter registration centre in the west of Kabul, underlining the continuing insecurity in the capital despite official pledges to tighten defences. Hashmat Stanakzai, a senior Kabul police official, said 25 people were killed and 49 were seriously wounded. There was no immediate claim of responsibility, the official said. Wahidullah Majroh, spokesman for the health ministry, said at least six journalists were among the wounded. The first bomb exploded in the Shashdarak area close to buildings of the NDS intelligence service, followed by one outside the ministry of urban development and housing, just as people were entering the government office. Taliban militants, fighting to restore their version of strict Islamic law to Afghanistan, announced their usual spring offensive last week and there has been heavy fighting in several areas of the country since. 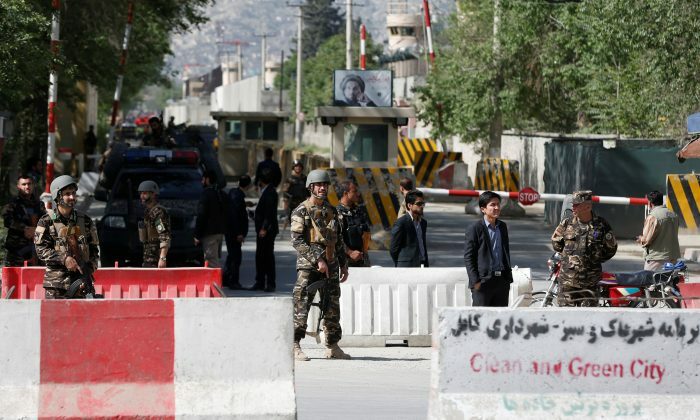 Hundreds of people have been killed and wounded in a series of high-profile attacks in Kabul since the beginning of the year, despite President Ashraf Ghani’s offer in February for peace talks “without preconditions”.